No one ever said the Connecticut shore was lovely this time of year, but a Russian spy ship has decided to come for a visit, anyway. The Victor Leonov is floating off the coast about 30 miles from the U.S. Naval Submarine Base near New London, after making a journey up the Atlantic coast from Havana, Cuba. The ship was hanging out near Delaware earlier Wednesday, and it has stayed well within international waters the entire time. 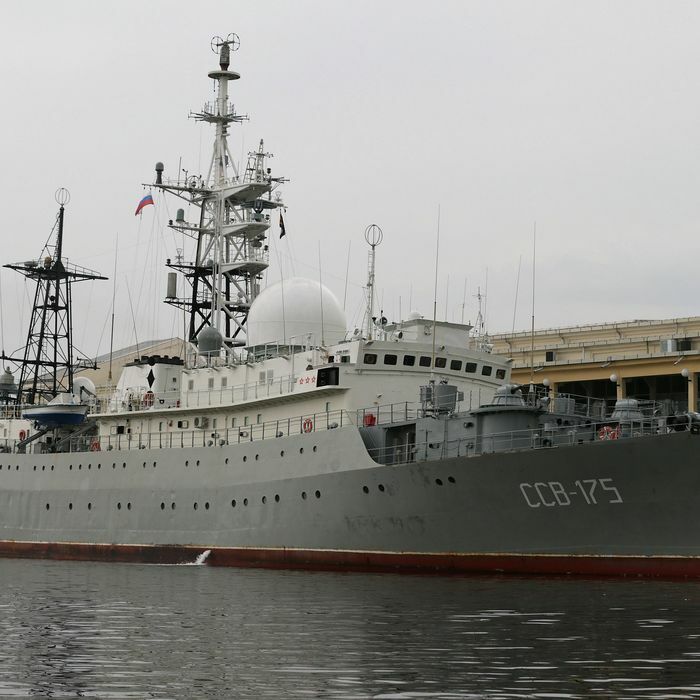 Russia made similar patrol exercises under President Obama in 2014 and 2015, but this is the farthest north a spy ship has ever patrolled, a Pentagon official told CNN. And, as they say, timing is everything.